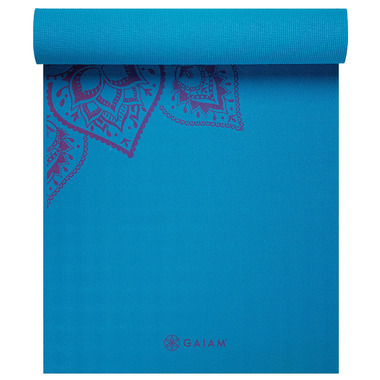 From Gaiam's Sol Studio Select premium line of mats, this 5mm extra-thick dense mat provides firmer cushioning and support, ideal for those who like to feel grounded and want extra joint protection. 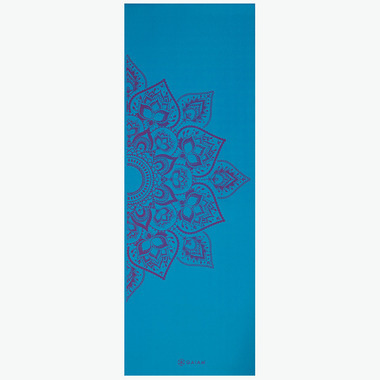 This Mandala Sticky-Grip mat has a smooth side that offers a less amount of stick, ideal for restorative yoga, while the other side offers a more traditional no-slip texture, ideal for inversions and hot yoga. Care Instructions: Printed yoga mats release a strong but harmless odor when first unwrapped. Please unroll and air out your mat for 2-3 days before use. Spot clean with Yoga Mat Wash or damp cloth with cold water and mild detergent. Dry flat. The mat may fade and become brittle and unusable if exposed to the sun for extended periods of time.